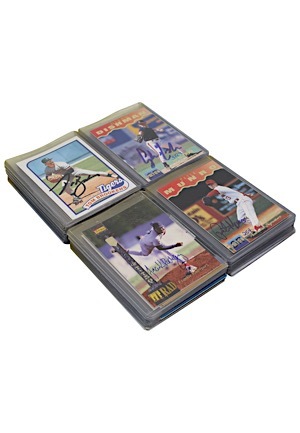 A large group of 1990s and early 2000s autographed baseball cards. The cards have been signed by the appropriate players and are highlighted by Rickey Henderson, Mike Welch and many others. Accompanied by a LOA from JSA.